On Thursday, an Intel spokesman confirmed that the company is working to patch a minor bug that will reduce the battery life of some Windows 10 machines by less than 10 percent. 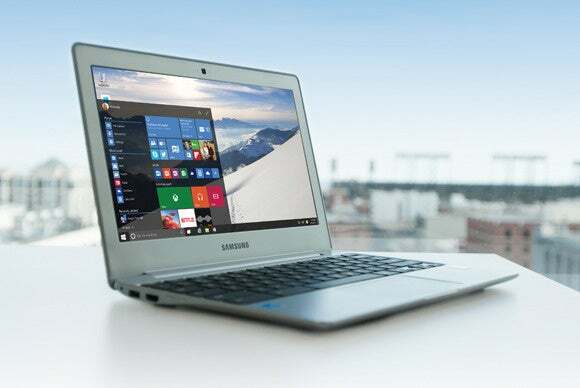 The good news is that, once fixed, Intel expects the battery life of a Windows 10 PC to be on par with a Windows 8 system, the Intel spokesman said. With the Windows 10 launch just days away on July 29, Intel, Microsoft, app developers, and hardware makers are working to finalize drivers and fix bugs. Microsoft, for example, issued an update for Intel’s HD Graphics integrated GPU on Thursday for its Surface line—along with a firmware update that failed to update for many people. In some sense, both Intel and Microsoft are on an intercept course, with Microsoft’s Windows 10 scheduled to hit the market shortly before Intel is expected to begin shipping its next-generation Skylake chips. The combination of new drivers, new software, and new hardware usually means a fertile ground for bugs, which all parties are busy patching, Intel among them. Why this matters: In the grand scheme of things, it appears that the Intel bug will be hammered out. But this should remind you that with any new hardware or operating system, bugs can do more than cause visual glitches—they can affect the performance of your system. And, of course, we don’t know how long it will be until it’s solved. For now, Microsoft’s code base has been essentially frozen, with no new builds of Windows 10 expected until the launch day. Behind the scenes, however, sources have begun to report that July 29 could bring with it a potentially enormous “day 0” software update in conjunction with Windows 10, both via Windows Update as well as individual Microsoft apps (which could include Mail, Xbox, and others) updated via the Windows Store. Microsoft offered this oblique statement in return: “A benefit of delivering Windows 10 as a service means we continue to offer ongoing innovations and security updates, continuously improving Windows 10,” a spokeswoman said in an email. And that’s true—several bugs that I noted earlier have been fixed in the days leading up to Windows 10. The day-0 update certainly could include a firmware update for Intel-based PCs, but it’s not clear whether the issue will be solved at that time, or not. Meanwhile, some PC makers are warning, unsurprisingly, that turning on the Cortana digital assistant’s active listening feature will also reduce a PC’s battery life. Quietly, PC makers have begun to tell us that the “Hey Cortana” feature built into Windows 10 will have some effect on battery life, but it’s not clear how much. For one thing, Cortana is broken out as a separate background process in Windows 10. Normally, the app reports zero CPU usage and just a megabyte or so of memory. When “Hey Cortana” is triggered, that spikes to about 6 percent or so of a Core i5-powered HP Spectre X360—a tiny amount, and only active for a few seconds, anyway. If the mic needs to be powered on to listen for your voice, it probably doesn’t take up that much power. Still, any sort of activity can cause a PC to consume battery power, so this may be one to watch.